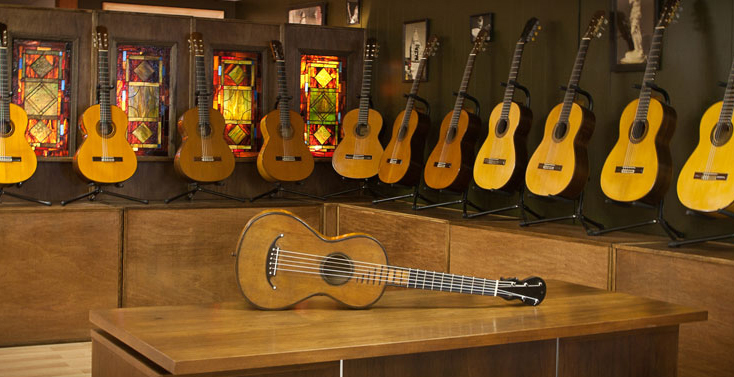 Classical Spanish Vintage Guitar Collection. The Masters of Spanish guitar making produced instruments of maximum quality and artistry of construction, balance and sound production. Our guitars are for the collector, concert guitarist and serious student. Older initialed Ramirez guitars are getting harder to find and many permanently leave the country to find home overseas. Back in Time Music Gallery located 90 minutes from NY City & 60 min from Philadelphia.